 Jefferson Waterman International is pleased to announce that Ambassador Jackson McDonald has joined forces with JWI, a leading Washington, D.C.-based international political and business consulting firm. Amb. McDonald comes to JWI following decades of high-level public service encompassing strategic political affairs, international business facilitation, counter terrorism, and cyber security. Much of his career was based in West Africa, the Middle East, Europe, and the former Soviet Union. As a Vice President of JWI, Amb. McDonald will be providing JWI clients with international political and commercial representation and be a member of JWI’s Africa Advisory Board. Amb. McDonald served as U.S. Ambassador to Guinea in 2004-2007 and U.S. Ambassador to The Gambia in 2001-2004. He was Deputy Chief of Mission at the U.S. Embassy in Côte d’Ivoire 1998-2001, and was the first foreign diplomat accredited to the newly independent Republic of Kazakhstan in 1992. Prior to joining JWI, Amb. McDonald served as Foreign Policy Advisor to the commander of U.S. Cyber Command and held the U.S. Department of State Chair at the National Defense Intelligence College. He also has served as Senior Advisor for Security Negotiations and Agreements at the U.S. Department of State, and assisted the U.S. Embassy and U.S. Forces-Iraq in Baghdad on political-military matters. Earlier in his career, he served as a Political Officer at U.S. embassies in Beirut, Paris, and Moscow.